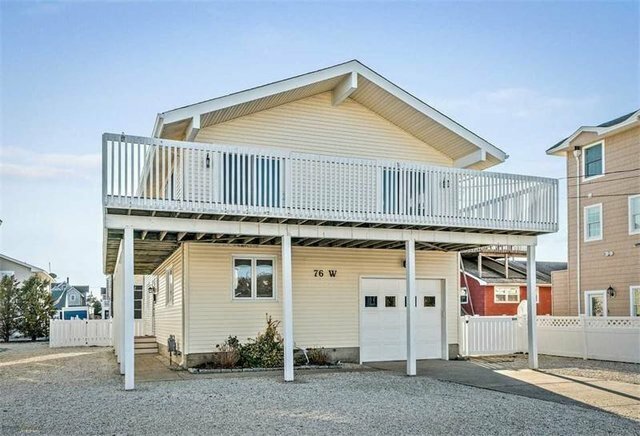 This north end 4 bedroom, 2 bathroom upside down home is ready for your summer enjoyment. The first floor features two spacious bedrooms, a full bathroom and laundry room. The large family room is perfect for family game night and there's plenty of room for extra guests to sleep. As you walk upstairs, the bright and sunny great room awaits, which is perfect for entertaining family and friends. There is a separate dining area with extra seating along the kitchen island. The two bedrooms and full hall bathroom complete the upstairs. Step outside on the expansive deck to enjoy dining or just time in the sun. This location is just a short walk to the beach as well as the shops, restaurants and the boardwalk.